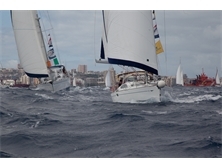 We require all of the rally boats to carry a minimum quantity and quality of safety and communications equipment, and to have undertaken training in using that equipment, heavy weather sailing techniques, and managing emergencies. Prior to departure, skippers will be required to sign a declaration that their boat is fit for the purpose of ARC Channel Islands. Our team of experienced safety equipment inspectors will be available to walk through your boat before the start of the rally if required and of course we are always happy to help new cruisers talk through decisions about safety in advance of the rally start. 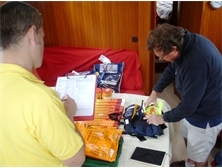 Sailing across the English Channel is a challenge not to be taken lightly; there are numerous hazards for which boats should be equipped and prepared to manage. The last leg is an overnight sail from Alderney to Dartmouth so boats and crew need to be prepared for sailing in the dark. For these reasons, adherence to the Safety Equipment Requirements is strongly recommended. The ARC Channel Islands Safety Equipment Requirements have been drawn up to ensure the minimum level of safety for yachts joining the rally. The World Sailing Offshore Special Regulations have been used as a guideline to compile these regulations, which include a list of mandatory and recommended safety equipment. We expect the boat to carry a range of safety equipment that is fit for purpose and ready to use including: a purpose made, self-inflating liferaft, VHF radio, man-overboard equipment. 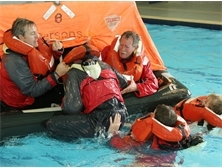 We also require every person onboard to have an inflatable combined lifejacket-harness (PFD) with a spray hood, crotch strap and safety line. Request a rally info pack to learn more and view the safety requirements. If you are considering sailing longer offshore passages, then take a look at World Cruising Club's safety standards for offshore rallies, such as the ARC. These requirements are based on the World Sailing Special Regulations which draw on lessons learnt from ocean sailing events over the last 30 years. Each boat has to have at least two people on board, including the skipper (captain). 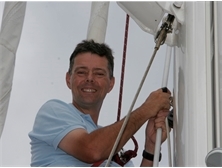 We recommend the skipper and at least one other crew member to have done some training on safety and communications equipment, heavy weather sailing and emergency management within the last five years. 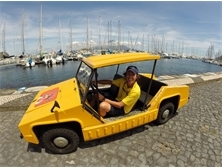 Our training partner in the UK is Hamble School of Yachting. 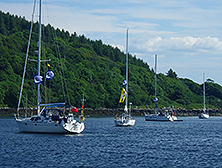 They provide a wide range of at-sea and classroom courses, and offer special discounted weekend sea safety courses for World Cruising Club rally participants. For more details, call Hamble on +44 (0)23 8045 2668. 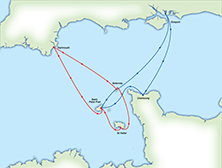 Although there is no formal qualifying passage, we expect you and your boat to have previous experience of longer passages and to have planned and skippered a coastal passage outside of sheltered waters of not less than 30 miles. Every boat will have a satellite tracker for the rally, so family and friends can follow your progress. In an emergency we can use the tracker to remotely monitor the boat, relaying location information to the emergency services. Sailing on the lead boat, our rally team will be with you in port, ready to welcome you in and to help with any problems; from finding an engineer to recommending a restaurant, as well as acting as the central point of contact in an emergency.